Romania is a popular destination for tourists who are interested both in traveling and in dental treatments abroad. The price-quality ratio is advantageous and, compared with other Western or Scandinavian countries, the overall prices for dental treatments are lower here. 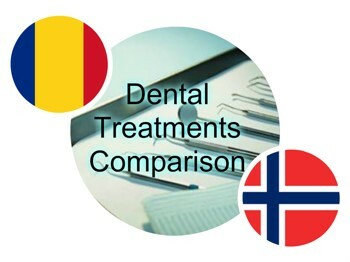 Dental tourists from Norway will find that Romanian dentists are professionals who work with high-quality materials. 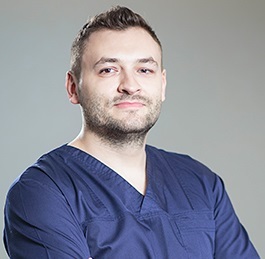 Dental offices in Bucharest are equipped with modern technology and the dentist will always work closely with the dental technician in order to provide the patient with excellent dental prosthetics solutions. 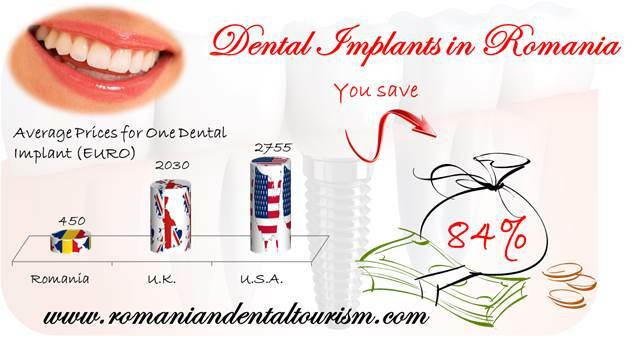 Dental implants are among the most requested dental procedures in Romania, because of the significant price difference: at our dental clinic, the price for a dental implant starts at 450 euros while in Oslo the starting price for dental implants is as high as 1.000 euros. The price for teeth whitening, another very popular dental treatment, is 230 euros in Bucharest and in Oslo the starting price is higher, at 270 euros. Dental crowns and other options for dental prosthetics are more affordable in Bucharest, at up to 350 euros for a high-quality zirconium crown. The price for a crown from the same material in Oslo is approximately 600 euros. Romania can be a beautiful country to visit and dental patients who undergo lengthier treatment procedures can take their time between dental visits to explore Bucharest or some of the cities close by. Sibiu and Sighisoara are two famous medieval towns, with beautifully preserved old houses and streets. Fiction lovers will also enjoy visiting the world-famous Bran Castle, the so-called home of Dracula. While Transylvania remains one of the most popular destinations in Romania, dental patients can also explore the coast of the Black Sea. Prices for accommodation in Romania will vary according to the region. One night at a hotel in Bucharest can be as low as 40 euros, compared to more than 130 euros per night at a hotel in Oslo. Prices for entertainment and eating out are also lower in Romania: a meal at an inexpensive restaurant in Bucharest can be as low as 6 euros compared to approximately 18 euros in Oslo. Norwegian tourists and dental patients can call our dental clinic in Bucharest for any questions about available treatments and an approximate treatment duration.